Below is our review of many of the Water Ionizers currently being sold. When reviewing these Ionizers we assess the filtration, warranty, size of plates, power of machine, type of power system, optional features, andtime each distributor has been in business.Every Ionizer is thoroughly researched by our team of experts before being added to this list, so feel confident in knowing we've already done the hard work for you! These water ionizers are listed in order of their ranking based on the above characteristics. 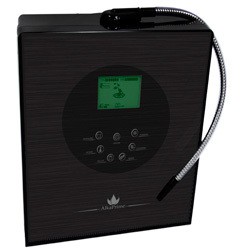 Quick Overview: New 11 plate water ionizer with three (3) internal filters. Quick Overview: Small, sleek design for budget conscious people with seven (7) platinum coated titanium plates. Quick Overview: Healthy Optimized Water: The New 2016 M13 Series with the New 2016 Heavy-Duty GRID Plate Technology™ with MAX Plate: 8 layers of Platinum over Industrial Titanium. These types of plates are designed with the "Faraday Effect" in mind to provide more linear edges/surface for the electromagnetism to restructure the water and increase the pH, negative ORP and alkaline mineral hydrate levels. Quick Overview: Healthy Optimized Water: The New 2016 M11 Series with the New 2016 Heavy-Duty GRID Plate Technology™ with MAX Plate: 8 layers of Platinum over Industrial Titanium. These types of plates are designed with the "Faraday Effect" in mind to provide more linear edges/surface for the electromagnetism to restructure the water and increase the pH, negative ORP and alkaline mineral hydrate levels. Quick Overview: The Ultimate Machine for Health: Increased power and unmatched efficiency makes the LIFE M-9 the front-runner in any ionizer comparison, and personally our favorite unit. One of the cutting edge technologies available for this machine is Life’s UV Disinfecting Light filter, which addresses harmful bacteria. 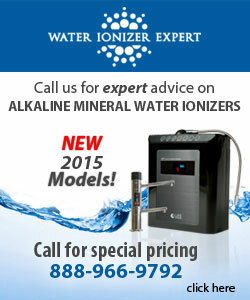 Quick Overview: Ioncares ionizers generate alkaline water, acidic water and purified water. Using an electrolysis process, tap water is put through a purification filter to remove harmful substances. Ioncares ionizers create nine types of water in total - four stages of alkali water, four stages of acidic water and purified water. Adjustable up to 450 watts of power, second only to its Big Brother, the Life M9. Quick Overview: High end performance for a mid range price The AlkaFresh™ 9 gives you the performance and features of a high-end ionizer at a price the competes with mid-range ionizers. Quick Overview: Saves money and health! The AlkaPrime S7-C is a solid South Korean 7 plate ionizer with good pH and negative ORP levels. We like the fact that it has dual internal filters with a customized pre-filter. It comes in your choice of several different colors, and has an SMPS system with 200 watts of power. It has a lifetime parts and five (5) years labor warranty, which is about average for 7 plate machines. This company has value-priced their systems about $300 less than equivalent ionizers from other companies. Quick Overview: High end performance, mid-range price! The S9-C gives you high pH and strong negative ORP levels for healthier alkaline water! It has dual internal filters with a customized pre-filter for the ultimate in water purity. We love the fact that you get several color choices and an SMPS system with 229 watts of power. The limited lifetime parts and ten (10) years labor warranty is above average for 9 plate machines. This is a newer company that beats competitors by about $300 for machines of similar quality. Quick Overview: Needs more power: The faucet on the Delphi has a very nice look to it, and it is made of stainless steel, but you can’t get very strong alkaline water from it. A plus is that it has two (2) interior filters but they run $89 each.Better filtration means purer water. 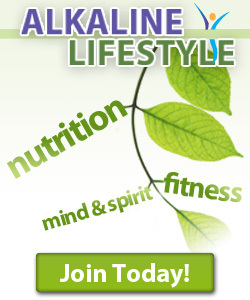 Only 80 watts of power means weaker antioxidant (ORP) levels and lower alkaline (pH) levels. Overall we feel that there are much better options in the $2,000 price range that will provide much better ionized water with more power, more internal filters and longer warranty. Quick Overview: Established brand: This is a 5 plate unit with a single internal filter. We like the looks of the machine and can go in a kitchen with silver or black appliances. It has one of those "lifetime" warranties that is actually five (5) years labor and lifetime on the parts. One advantage is that this design has been around for years to the bugs are mostly eliminated. There are other 5 plate machines on the market for a little less money; better warranty; and better filtration. Quick Overview: Mini price, MAX perfromance: The AlkaFresh MiniMAX is a great mid-range model. It is a smaller unit for people with limited counter space. Quick Overview: Not built to last: The Alkazone BHL-3100 has five (5) plates and comes with a 2 year warranty, a sign to us that the machine is not designed to last. The limited warranty and a single internal filter ($85) are deal breakers. 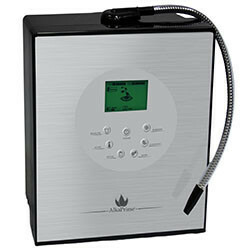 We suggest you spend a little more and get a quality water ionizer. If you’re in the market for a 5 plate unit... we have one for less money ($1497) with a 7 year warranty and dual internal filters.